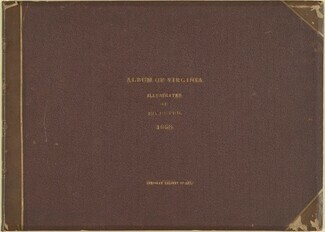 Album of Virginia. / Taken from Nature by Ed. Beyer / Entered according to Act of Congress in the year 1857 by Ed. Beyer in the Clerks Office of the District of Virginia / Lith. Anst. V. W. Loeillot in Berlin. / The Little Tunnel Near Shawsville Va. & T. R.R. / Montgomery County Va.